Amazon's Dash buttons may one day be replaced by bots and smart home appliances, but for now the retail giant is widening its push-button lineup. Amazon’s Dash buttons are weird. They seem useful enough, but they also feel like a technology doomed to be eventually supplanted by bots and smart home appliances. While there’s still time, however, Amazon is getting aggressive with the push-button ordering system. The Wall Street Journal reports that Amazon plans on announcing “dozens” of new Dash buttons this week. The Journal did not say what any of the new additions will be. Launched in 2015 around April Fool’s Day, Dash buttons are little stick-on, push button devices with a brand logo on them such as Tide, Gillette, or Doritos. 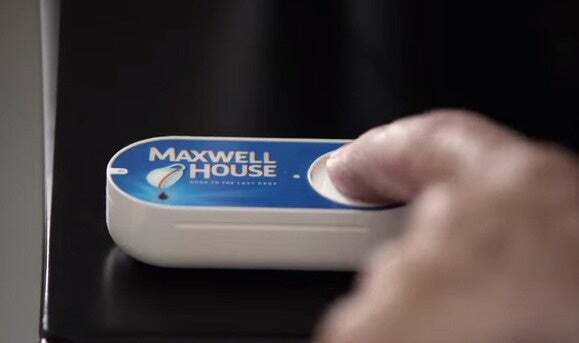 Push the button and you’ll automatically place an Amazon order for your Dash button item of choice. The devices are only open to Amazon Prime members. Dash buttons are priced at $5 each, but customers get a $5 rebate for their first purchase made with their buttons. That essentially makes the devices free while discouraging customers from loading up their homes with Dash buttons they’ll never use. Or at least that’s the theory, which may not be working in practice. The Journal quoted a study that market research firm Slice Intelligence released in March when Amazon tripled its Dash button lineup. The firm estimated that less than half of all Dash button users have actually placed an order with their devices. Some companies, however, say the buttons are great for business, while others see the Dash program as more of a marketing ploy than anything else. Whatever the reason, being a Dash supporter is not cheap for these brands. The Journal says companies pay Amazon a hefty $15 per button sold. On top of that, Amazon takes a 15 percent cut of every Dash sale, and still charges its typical commission—anywhere from 8-15 percent—for those sales. Why this matters: Amazon is doing its best to make the Dash button obsolete with the ability to purchase items on the fly with Alexa, the company’s voice-controlled personal digital assistant. Nevertheless, it will be some time before every PC, smartphone, speaker, or washing machine lets you order from Amazon with little to no effort. Until then, Amazon wants its Dash buttons to fill the void of ultra-simple ordering for everyday household items. Now if only Amazon could get users to actually use the damn things.